Penguin Random House is marking the 40th anniversary of The Snowman with a live experience created by Backyard Cinema. 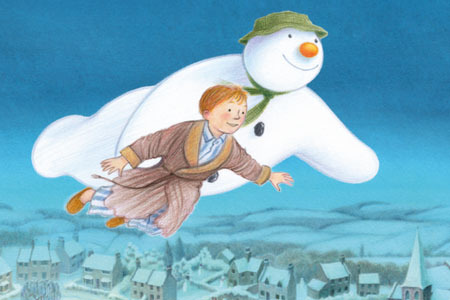 "The Snowman Experience" will span 5,000 square feet with replica sets of the film, and have a 10-metre wide curved screen made up of 300 LED panels so that visitors can feel as though their flying beside the character. Thomas Merrington, creative director at Penguin Ventures, the book publisher’s licensing, consumer products, TV production, retail, exhibitions and live events arm, said: "When we started planning for the Snowman 40th celebrations we were keen to create some outstanding new experiences that could be enjoyed by everyone." The activation will be at London’s Winter Wonderland in Hyde Park between 22 November and 6 January. Dominic Davies, founder and creative director at Backyard Cinema, said: "We wanted to give people the chance to enjoy this Christmas classic in a way they could never have imagined and so have tried to really challenge the perception of what it means to watch The Snowman. Hopefully, in doing so we have created a little bit of magic that everyone can believe in for a short while".